YES... OUR RESTAURANT IS OPEN! 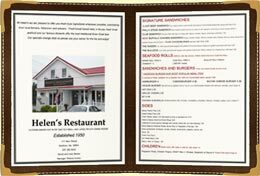 “Our newly rebuilt restaurant is open and we are again serving your favorite Helen's Fare, as well as some new menu items we hope you'll enjoy. We are again serving breakfast, lunch, and dinner, 7 days a week. See our contact page for hours. Have a look at OUR MENU and we hope to see you here soon. Generations of Down East Maine families and travelers have chosen Helen's Restaurant as a favored destination for over 60 years! Specials change daily so please ask your server for today's list. Oh! And please remember to save room for dessert! View and download our current menu selections. Yum! 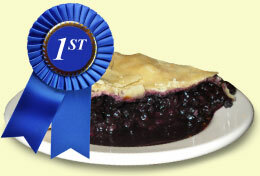 Our homemade pies have received national recognition. 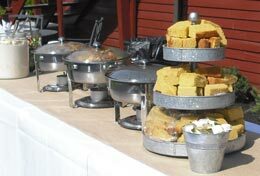 Enjoy deliciously easy event planning with our catering services.